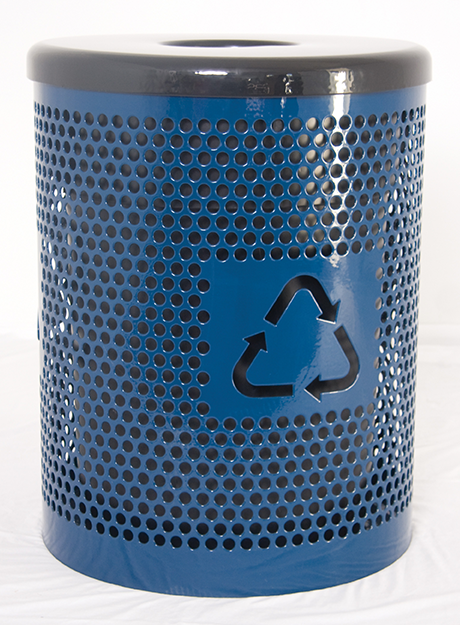 The perforated metal recycle logo trash receptacle comes in a variety of colors and two mounting options. Shipped with flat top lid and plastic liner. All MIG Welded unit with thermoplastic color finish.